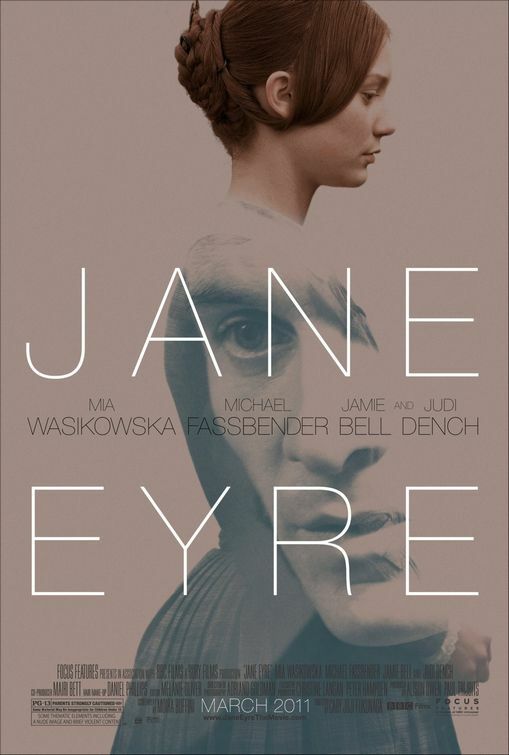 In the 2011 movie adaptation of Charlotte Bronte's classic novel, Mia Wasikowska plays the titular heroine, 'Jane Eyre'. 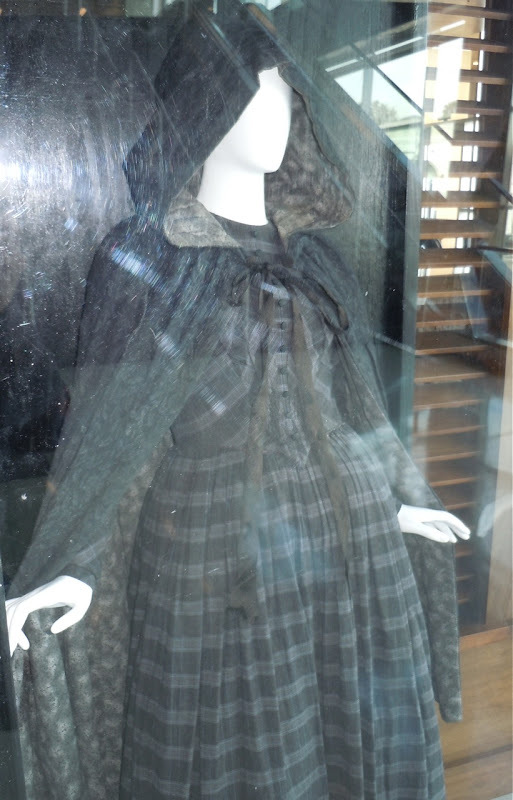 This period cape and dress was designed by Michael O'Connor and was photographed on display at the The Landmark cinema in West Los Angeles on February 28, 2011 (installed by Olson Visual). 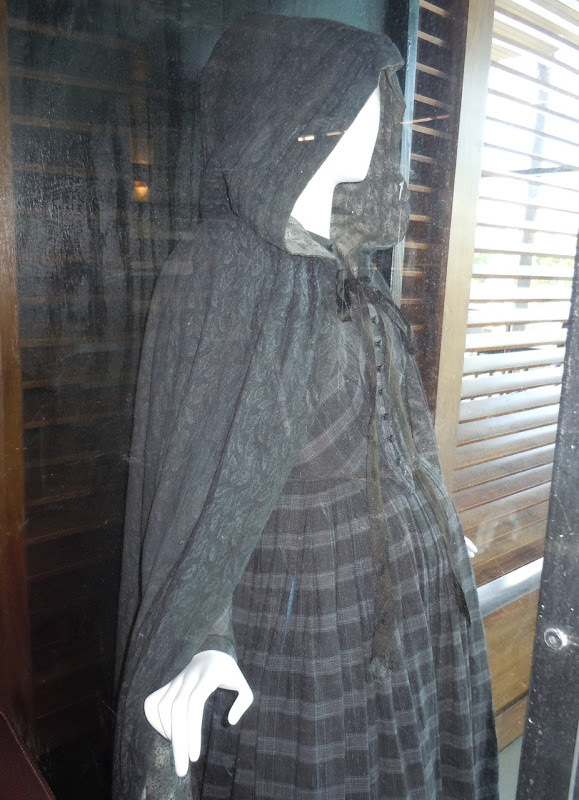 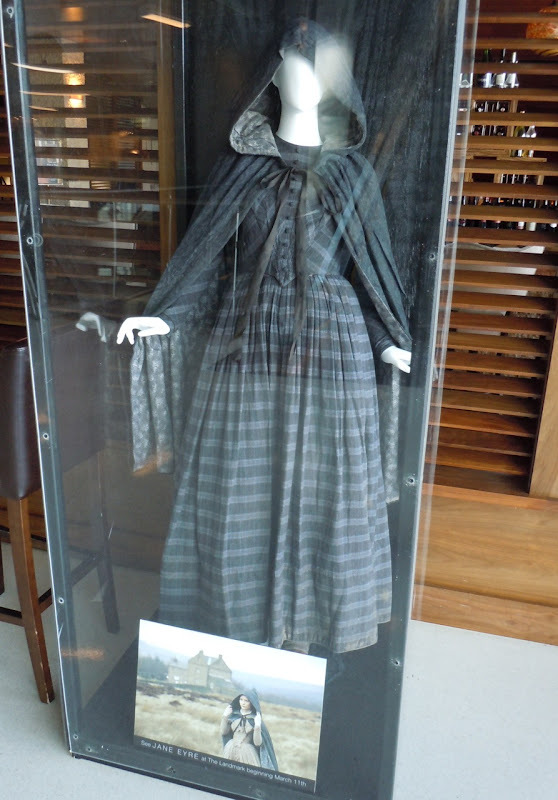 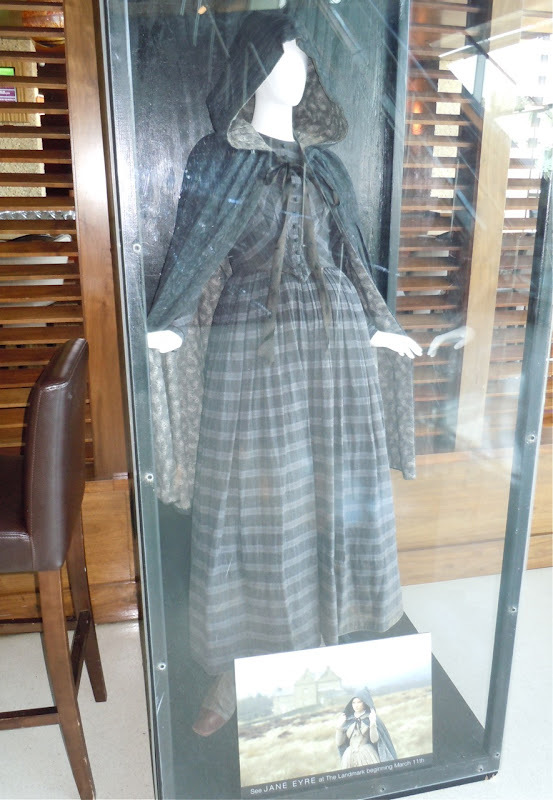 If you like this costume be sure to check out wedding costumes for Rochester and Jane Eyre featured in the movie also on display.